We drove over to Forbach, France, right across the German border, a 40 minute drive from our home in Weilerbach. There’s a super-store, Cora, (they call them hypermarkets over here) in Forbach that had been recommended to us by a number of people. We had two objectives in mind, weed killer and French wine. 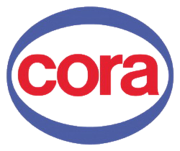 Cora is a Belgium based super-store chain that does business in France, Romania, Hungary, Luxembourg and, of course, Belgium. The major attraction for our trip was the weed killer, available at Cora. A commercial weed killer for home use is not sold in Germany because of their position that it can eventually seep down to underground water supplies. And, of course, if you’re going to go to France you might as well get some French wine too. Now, there are super-stores in Germany, such as Globus, and as you would expect these German stores are very clean, very tidy and orderly. Going into Cora was an interesting comparison on the varied cultures of two neighboring countries and their people. Forbach sits right on the French/German border. Cora is less than a mile from that same border but when you walk into this French super-store you notice some real differences from the German stores; not quite as clean, a bit of disarray and a definite odor. Interesting. We did find the weed killer, €30 for a liter bottle. It was even called Round Up but, from what we’ve been told, it doesn’t work anywhere near as well the U.S. Round Up. Apparently it requires at least three applications to kill a weed, even though the French label of the Cora weed killer plainly claims one application kills weeds in 24 hours. Luckily, there was also a smaller spray bottle for €12 so we went with that; results yet to be determined. Lots of Bordeaux wines to choose from at very reasonable prices. We came home with about ten bottles; taste and quality yet to be determined. By now you're probably wondering what the title of this blog is all about. We enjoy Kronenbourg 1664. Really, it’s the only French beer that we’re familiar with. Interestingly, it’s a very common beer in British pubs and it’s even available in some U.S. bars. It cannot be sold in Germany because it doesn’t meet the beer purity laws here. Jeff said we’re not buying French beer when we live in the mecca of beer but I like 1664 enough that I insisted. When we got home we sat out on our patio and had a couple beers; Jeff, a German beer, me, the 1664. Below, the German beer on the left, Hofbrau, and the French 1664 on the right. Maybe Jeff has a point. The 1664 beer looks so tiny haha. I didn't realize you guys were that close to France either! Maybe if we have time when we are there in September 2012 we could do a day trip to some where different in France. Great blog! Cool blog...you all do the most interesting and fun outings! !